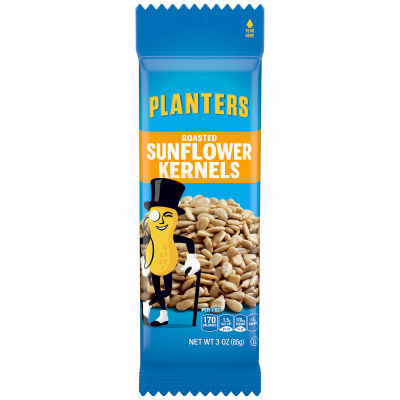 Planters Sunflower Kernels bring the crunch with a delicate toasted nut flavor, making them a scrumptious snack and a perfect cure for your mid-day cravings. These tasty kernels are also an excellent source of nutrients, offering plenty of health benefits. Enjoy these crunchy kernels on-the-go with this convenient snack-size bag. Serving size 1 oz (28g/ about 1/4 cup).